Bruno Gecchelin was born in Milan in 1939, and after graduating in architecture from the Polytechnic University of Milan in 1976, he opened a studio specialising in product design. He worked with several different companies, designing for a range of different sectors, from car accessories right down to equipment and homeware. His passion for technology led him to specialise in luminaire design, paying maximum attention both to design as well as function. In over forty years of activity in this field, he has developed more than one hundred luminaires, alternating decorative lamps with technical products for retail, museum and urban lighting. 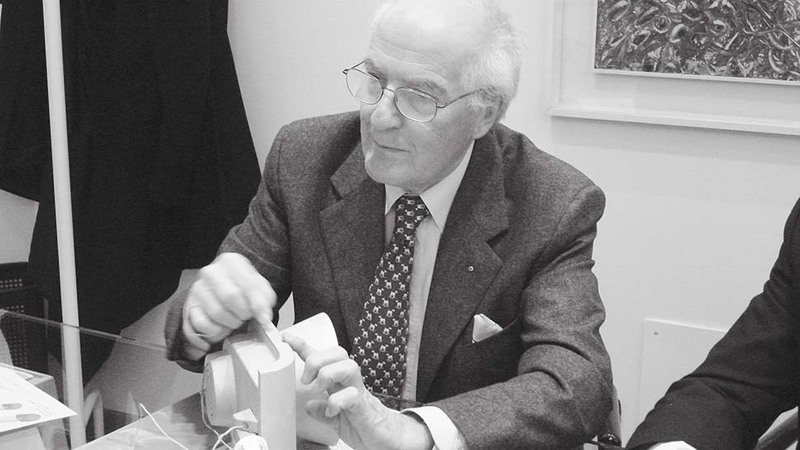 Over the course of his long career, he has received international prizes and honours including the BIO Lubiana, the IF product design award in Hannover and three Compasso d’oro (1989 – 1991 – 2004). Besides design, he is considerably involved in education, teaching in Milan at the IED Istituto Europeo di Design, at the Polytechnic University of Milan and at the Brera Academy. His alliance with Reggiani has spawned Revios and Kylios, professional yet at the same time discreet and elegant luminaires, multi-functional and in step with technical innovation, the perfect synthesis of the Milanese architect’s standard of work.